The daily grind can takes it toll on your body and mind but fortunately there are many ways to relieve all that stress and stay healthy in Melbourne. 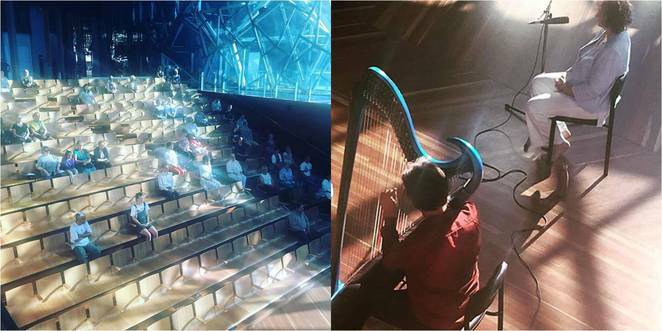 You can join a fitness class in the city, go for a walk around South Wharf, practice Tai Chi in Docklands or try out meditation. 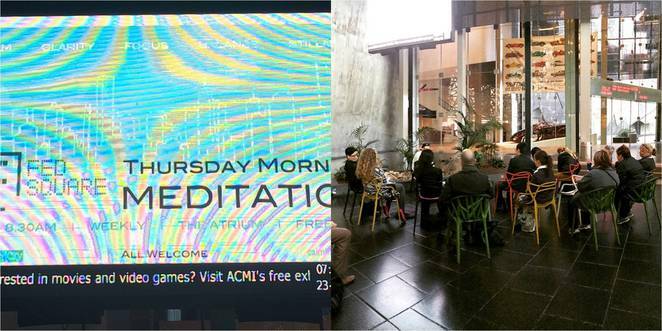 Calm in the City is hosting weekly mediation classes every Thursday in the Atrium of Federation Square, one of Melbourne's favourite cultural precincts and home to popular venues like ACMI and NGV Australia: Ian Potter Centre. Best of all, the classes are FREE. Calm in the City is a not-for-profit community initiative which endeavours to make mediation and calm easily available to the public. 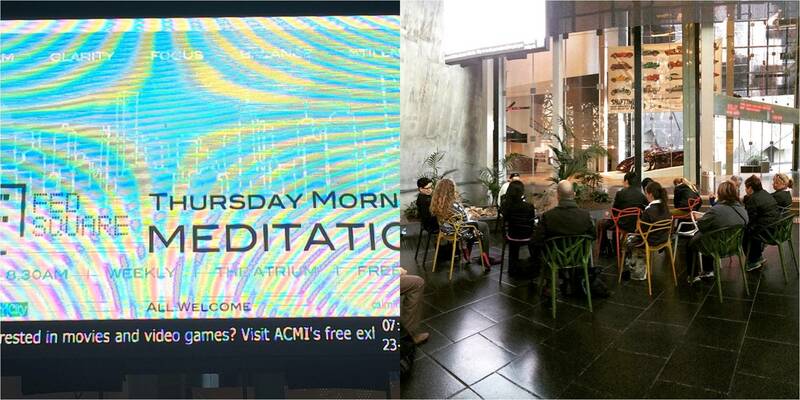 Apart from classes, it also conducts retreats, mediation events and programs for the workplace. The art and practice of mediation is shared through simple communication and thereby brings calm into the hearts of people in the city. Leave your running shoes at home and enjoy guided mediations every Thursday morning with fellow beginners and regular attendees. Each session is half hour with commentary, soothing music and a bit of quiet. This is a focused and calm way to recharge your mind and start your day. Not a bad idea. Maybe some of the cty corporates should send their people down for the morning.